You are here: Home / Feedback & Reviews / Inspiring trip! We had a really great experience in Bhutan with Little Bhutan. Discovering this new culture and getting inspiration from the Bhutanese spirit: Calm, optimistic & respect for people and nature. We really appreciated the upgradation to a 4 star hotel while in Punakha. It was a very pleasant surprise. We also enjoyed the trek, despite of the bit of snow. We also appreciated the quick reaction from the guide as well as the team from Little Bhutan when we asked our hotel to be changed in the last minute. 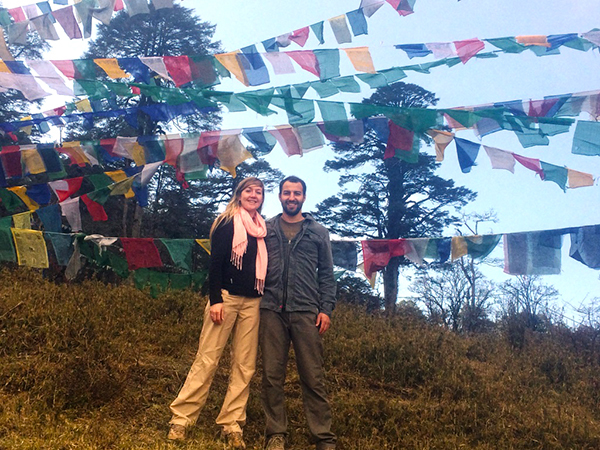 Thank you to our Guide & Driver Nima & Passang and to the Little Bhutan team for this wonderful trip. We will be recommending you to our friends and family!